No one likes to be on the receiving end of a scolding. But a lot of the time it is just as bad for the person who has to issue such a reprimand. In the professional setting, a warning serves as a necessary corrective measure to ensure smoother operations, and so there is no getting around it. What is used in these situations is a Letter Template that formally addresses the particular employee and issue, a letter that can be tailored to address any other misbehaving or underperforming employee. This takes a huge burden off the corrective officers and supervisors. But how to draft such a letter? Perhaps you don’t have to. 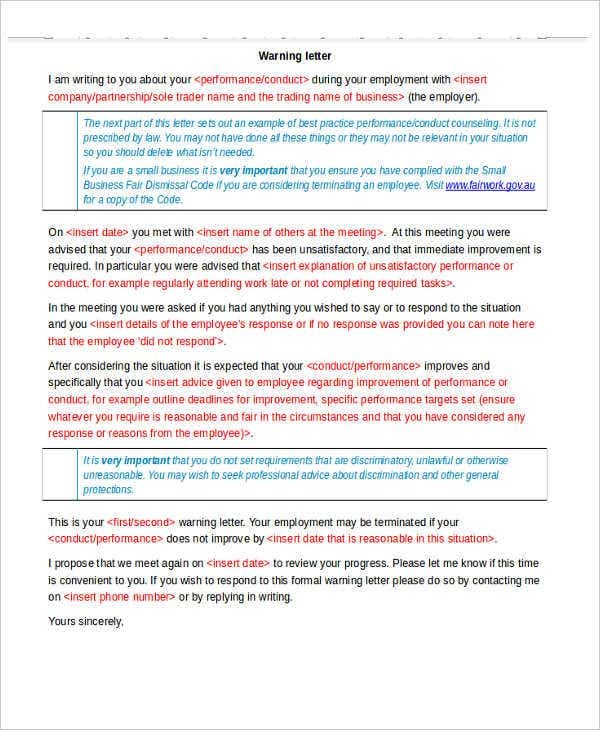 Peruse this collection of free staff warning letters for the perfect template to help you do your difficult job with ease and professionalism. A single template that is well put and tactfully worded will help you effectively deal with any and all underperforming employees without getting personal. 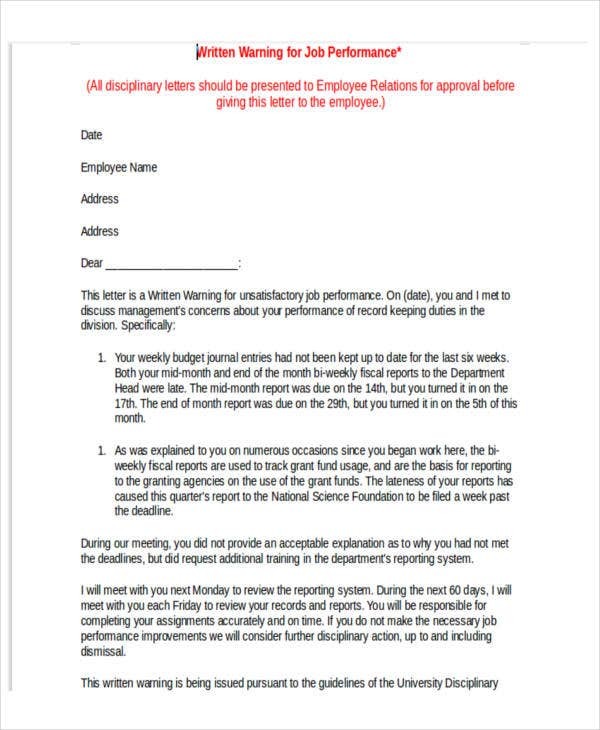 The Free Staff Warning Letter Template above is a Word document you can edit to include the date, employee’s name and address, as well as the issues under question. After a sit-down with the employee discussing their performance, it is customary to send them a written record of the discussion. 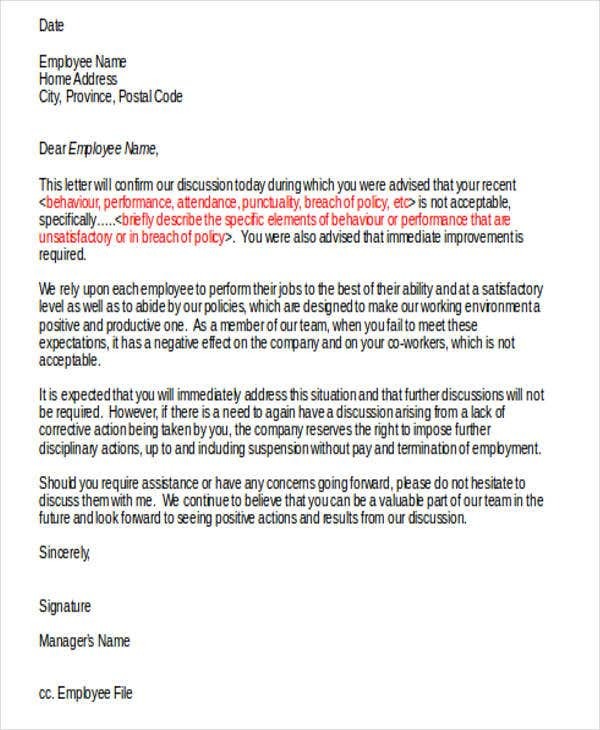 See Restaurant Staff Warning Letter Template, an example of a letter that is issued after a corrective conference. Edit it to suit your details. 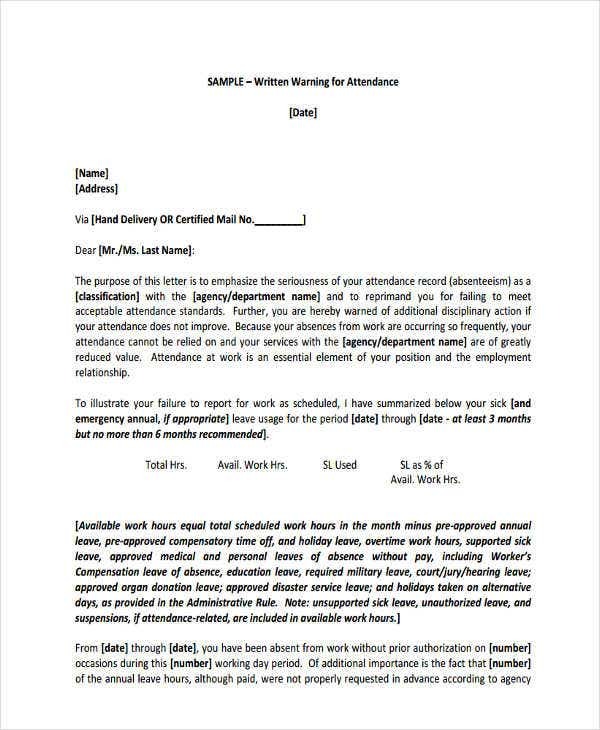 The Staff Attendance Warning Letter is an example of an HR Warning Letter “with cause,” which in this case is absenteeism. You can use this format to address other specific acts of misconduct. If you are sufficiently high up in the chain of command, sometimes you will have to send a warning to an employee of another corporation in a business partnership with you, since their work will influence your work. 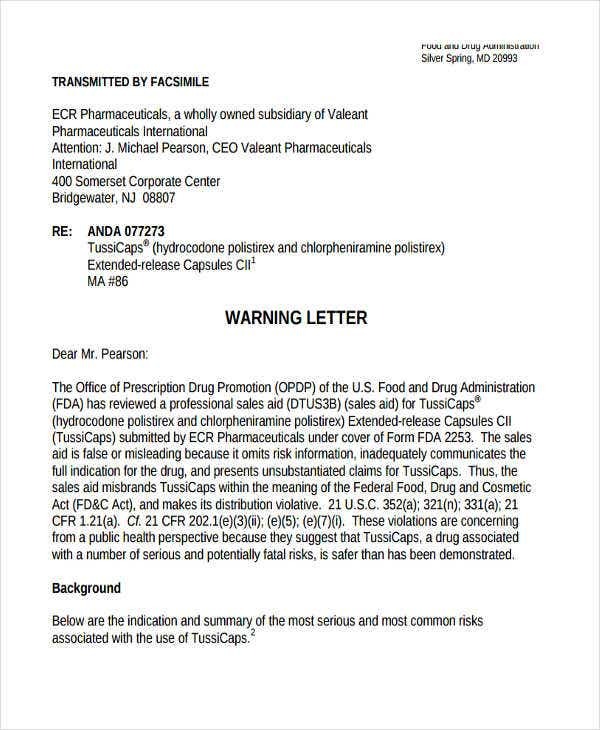 See Sales Staff Warning Letter Example, an example of a warning fax to a partner pharmaceuticals company that has violated some agreed health and safety standard. The other examples will give you even more options of how to present your letter, but the principles should be more or less the same. 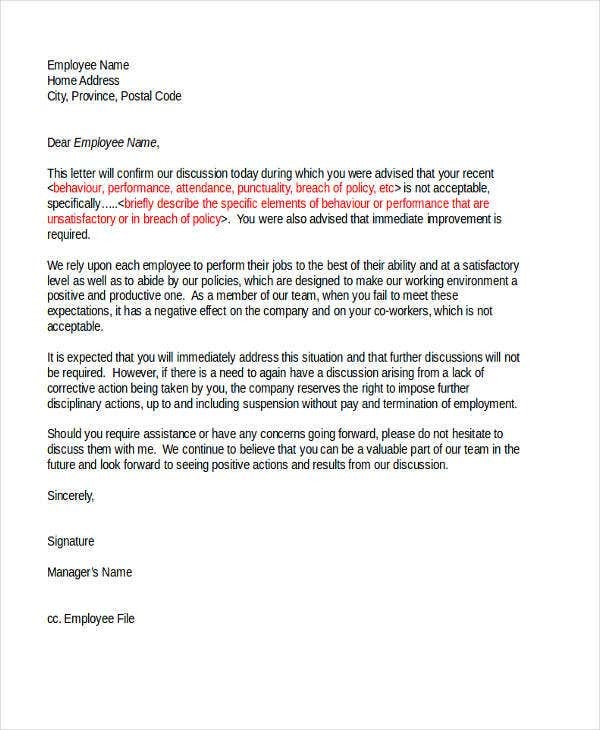 As you can see from the Staff Warning Letter Format and other examples, a warning letter is usually a last resort to a series of informal disciplinary actions, such as verbal corrections. There may be a private discussion beforehand with the offending employee. Many companies follow the process of first warning, second warning, and final warning, followed by whatever remedial procedure is necessary. The warning letter for most general in-house employees is issued at the second or final warning stages. 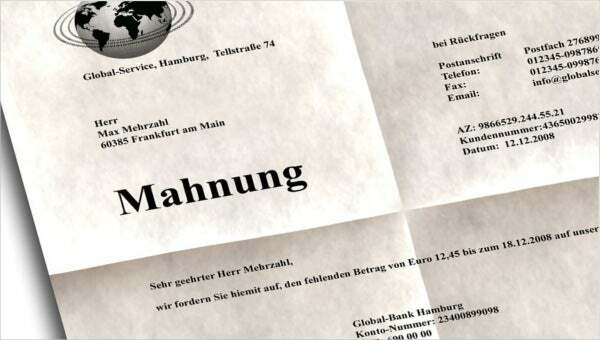 If the employee is working remotely or is a business partner, a letter might be issued at the first warning stage, especially if it is a serious matter (see Sales Staff Warning Letter example). A good Warning Letter Template is something you only have to select once, and it will work for most situations you will need it. These free templates, especially the modifiable Word documents, will provide you with that invaluable resource to keep your personnel under check without being a tyrant. 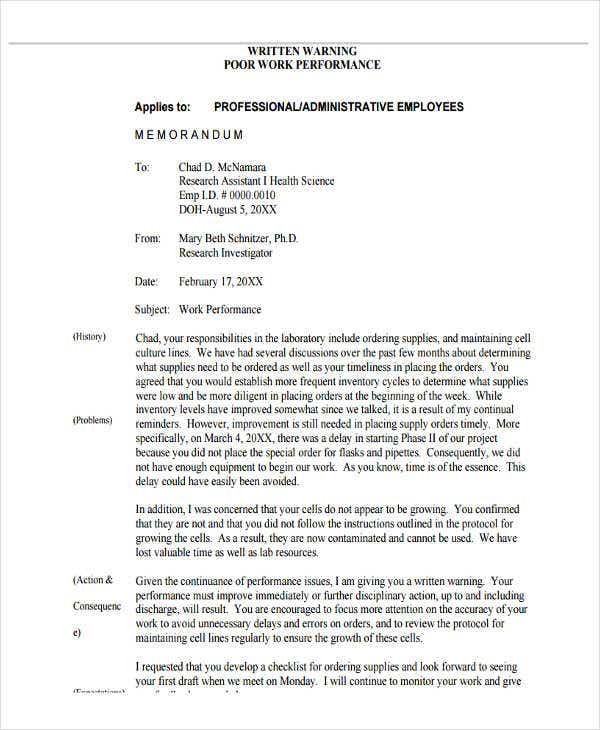 Written letters will also serve as documentation in case more severe measures need to be taken down the road, so always have an HR copy on file.